When you have too much stuff and you can’t store it all in your home, you move some of that stuff to a storage unit. It’s that simple, right? Well, some people will hold on to more than they need, piling their storage units (and sometimes their homes) with things they’ll never look at again. And really, anyone can benefit from some quick reflection before tossing another computer chair or thrift store find into their storage unit. So, do the items you are keeping serve a purpose or have future value? If not, it might be time for a garage sale. In today’s blog post, Affordable Family Storage explains how you can host a garage sale from your storage unit, with one very important caveat. Does Your Facility Allow Garage Sales? If you are considering a garage sale, the first question you have to ask is whether or not your storage facility will even allow a garage sale on their property. Many facilities have an open gate policy, especially on the weekends, which makes it a practical decision for the tenant, but your owner might not want people wandering around their facility. 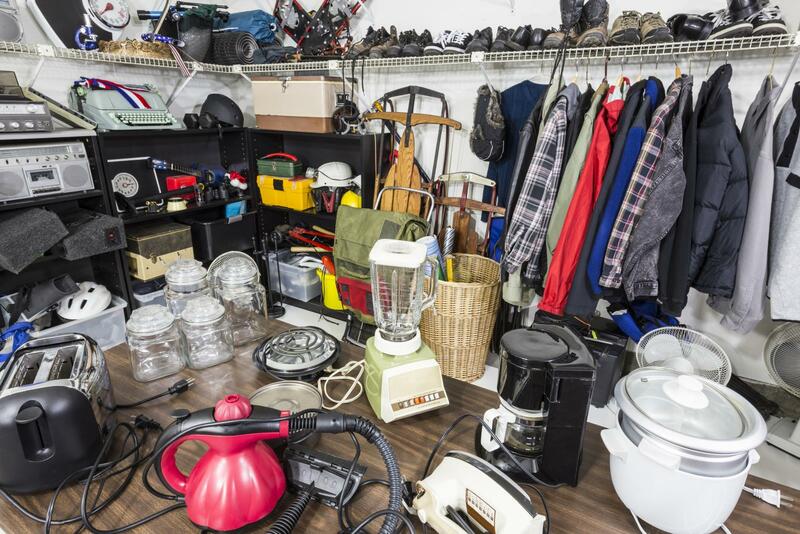 We cannot emphasize this enough: you must get owner permission before hosting a garage sale on your storage facility’s property. Do the facility owner a favor and just give them a call. They might not allow it, but if you speak to them yourself and outline your plans, they may just allow it. Even if they won’t, you can still haul your things back home and set them up for a yard sale on a sunny day. Why Host A Garage Sale At Your Storage Unit? Hosting a garage sale can be hit-or-miss due to its location or accessibility. Your storage unit serves to give your sale a more centralized location and make it more accessible. For apartment renters, your storage facility is the obvious choice because you don’t have a garage. But even if you own a home, hosting a garage sale at your house presents some problems. First, you have to find a way to get people to your home. In big neighborhoods, it can be difficult. Secondly, you want to be in a location that is centralized so that you get traffic from people who weren’t looking for your sale. Your storage facility is a business, which means that it is almost always going to be more accessible. What Are The Benefits Of Hosting A Garage Sale? There are more benefits to hosting a garage sale at your storage facility than its centralized location. For starters, most of the stuff that you will be selling is likely already in the storage unit, so a lot of the usual prep is done for you. And most likely, you aren’t selling things that you still use. Remember that old couch? That old TV? Yeah, they’re already in your storage unit. You also won’t have much of a cleanup after the sale. So even if you only sell 5-10% of your stuff, it’s already back where it belongs. As we said at the top of this post, you must get permission from your facility before hosting a sale. For more information on our policy on garage sales, contact us today at (402) 810-8881.